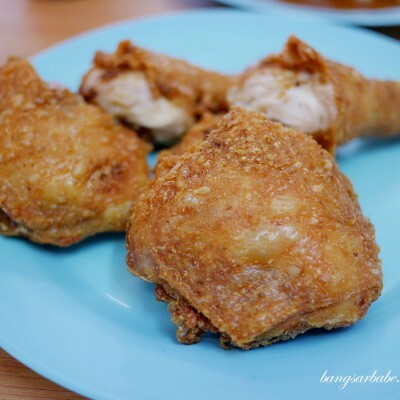 Ever since I tried the Kelantan style ayam percik at Yati and Restoran Jaring, I’d be on a lookout for it whenever I dine at a nasi campur stall. There’s just something about the sticky sweet yet spicy sauce — so addictive, I tell you. 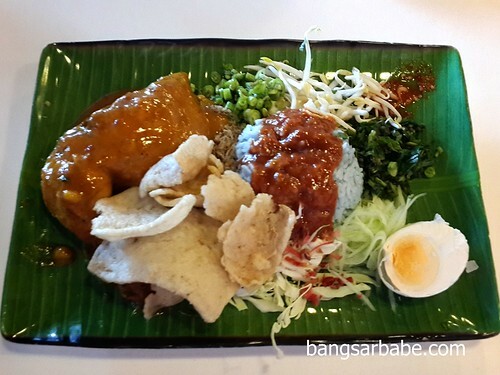 Nasi kerabu is typically served with meat, crackers, pickles and other salads. 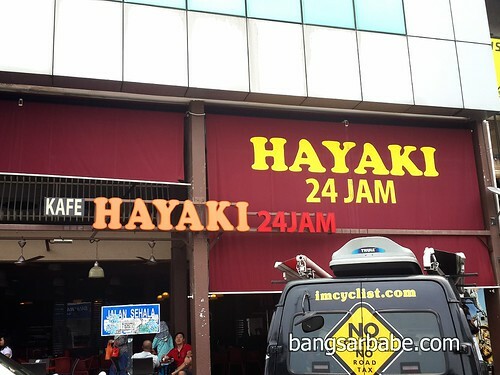 At Hayaki Cafe in Damansara Uptown, they serve Kelantan style ayam percik with nasi kerabu which I decided to give a try after a failed attempt at the famous nasi lemak shop next door. I’m glad I did because the nasi kerabu was pretty good, especially when eaten with sambal cili. The ayam percik was quite tasty, although not as good as the on at Restoran Jaring. I found the sauce justly sweet (by Kelantan standard) with spicy aftertaste from the chilli. 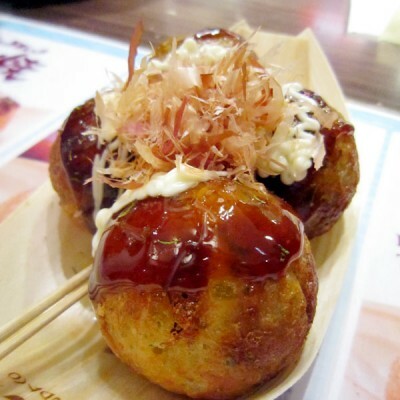 Delicious, when eaten with the salted egg and keropok. 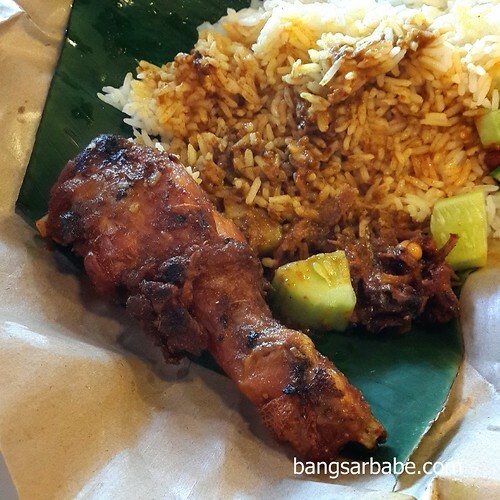 rif’s Nasi Kukus Hayaki was less ostentatious, comprising a fried chicken drumstick, coconut rice, sambal and curry. The rice was fragrant and the curry although mild paired nicely with the sambal cili provided. I suggest you go easy on the sambal as that one is fiery. 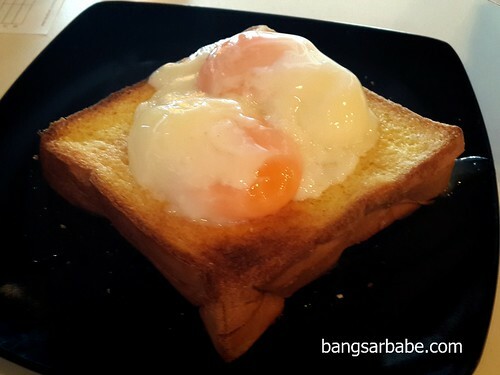 We also shared a toast with soft boiled egg and found the combination very interesting. 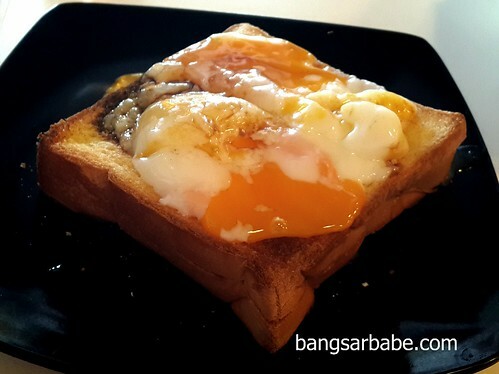 It’s basically buttered and toasted white bread with condensed milk centre, topped with eggs and a dash of pepper and soy sauce. I loved this salty-sweet combination. rif was less enthused but that only meant more for me. Hayaki Cafe is open 24-hours if you plan to visit. I like that service is quick and the ambiance is fairly comfortable. I can’t quite remember the exact price of the dishes, but lunch came up to a reasonable RM28 for all the above inclusive of two drinks. 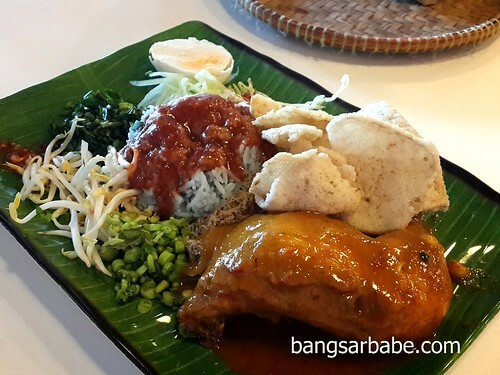 Verdict: If you’re craving nasi kerabu or ayam percik, give this place a try.